The following notes and provisions apply to the sale of all properties at our auctions. The notes are only intended to assist prospective Buyers by summarising the main terms and are not intended to be a substitute for reading and considering them in full. Buyers and their professional advisors must read the full provisions carefully as Buyers (and/or person bidding) will be deemed to have accepted them and be bound by them. Buyers should consider taking legal and financial advice, obtaining a structural survey and valuation before commitment to bidding (or having another person do so). Legal and other matters relating to property in the United Kingdom can be complex. We cannot stress too strongly that professional advice should be taken by Buyers to ensure they are aware of these complexities. 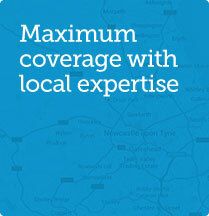 Buyers should have their professional advisers consider and advise them on all aspects of their prospective purchase. All documents and other information relating to the lot should be carefully considered. 1. Conditions of Sale All lots will be sold subject to the applicable provisions set out or referred to in this Catalogue and the Seller, Buyer (and/or bidder) will be deemed to have accepted and be bound by them. 2. Inspection of Properties Buyers are assumed to have inspected all lots in which they are interested and satisfied themselves in relation to them (including in respect of making searches and enquiries in respect of the lot to the extent necessary). The Buyer accepts the state and condition and location of the lot (including with regard to fixture, fittings and equipment and/or environmental and contamination issues). 3. Buyer’s Registration Buyers interested in bidding must complete a registration form (which is available upon request and on our website) and will be subject to the further terms and conditions stipulated therein. We are not obliged to accept any bid from a bidder (or the person for whom the bidder is acting) who has not registered. 4. Auction Types We have two types of auction and it is the Buyers responsibility to check which one applies (the terms and conditions of sale applicable to each auction type are different). 4.1 Option One If the lot is in an Option One type auction, the lot will be subject to the Option One Conditions (as stipulated in our General Auction Terms of Business in this Catalogue). On the fall of the gavel the Buyer is required to pay a deposit to us equal to the higher of (1) 10% of the successful bid price and (2) £3,000. Exchange of contracts (between Seller and the Buyer) occurs immediately, if the sale occurs during an auction (arranged by us) and in all other circumstances, when the applicable Sale Memorandum, has been signed by (or on behalf of) the Seller and Buyer and payment of the said deposit by the Buyer. Completion of the sale and purchase of the lot will take place 28 days following (or if it is not a Business Day on the next Business Day) the date of exchange of contracts. 4.2 Option Two If the lot is in an Option Two type auction, the lot will be subject to the Option Two Conditions (as stipulated in our General Auction Terms of Business in this Catalogue). On the fall of the gavel or acceptance of an offer by the Seller, the Buyer shall pay a £3,000 non-refundable deposit to us and sign the applicable Sale Memorandum requiring exchange of contracts to take place within 28 days of the buyers solicitor receiving the contract pack (or if that day is not a Business Day on the next Business Day). Completion of the sale and purchase of the lot must take place within 14 days (or if that day is not a Business Day on the next Business Day) of the date of exchange of contracts. The Sale Memorandum is not a legally binding contract (as a contract to enter into a contract in not typically enforceable in English law) for the Seller to sell and the Buyer to buy the particular lot but represents the intention to do so. However, the Seller will have the security of the non-refundable deposit. All deposit monies will be held in the Client Account of The Agents Property Auction until exchange of contracts. 5. How to Bid The Buyer may bid in person. Alternatively, if the Buyer is unable to attend the auction in person, bidding is available remotely by telephone or proxy bid subject to the Buyer completing and returning our Remote Bidding Form which is provided in this catalogue (and is also available on our website). Remote bidding is subject to availability and subject to further terms and conditions (which may be stipulated on our website and/or on the Remote Bidding Form itself). 6. Deposits may be paid by cheque, bankers draft or by prior arrangement into the Client Account of The Agents Property Auction. Unfortunately cash cannot be accepted. Proof of identity and address is required for all successful bidders in order for us to comply with Money Laundering Regulations. Original documents must be provided, photocopies are not accepted. For proof of identity we can accept – current signed passport, current full UK/EU photo card driving licence, resident permit issued by the Home Office to EU Nationals. Fire Arms Certificate. For proof of address we can accept – A utility bill issued in the last three months (not a mobile phone bill), local authority tax bill, bank or building society statement containing current address. We reserve the right to conduct a soft imprint online identification search on any successful bidder/buyer. 7. Withdrawal of Lots We reserve the right to withdraw lots from auction at anytime and for any reason and/or change the type of auction for a particular lot. 8. Guide Prices, Reserve Prices, Estimates, Plans, Measurements and Photographs Any guide price shown in any marketing materials are only intended to be estimate of the anticipated sale price but may not be necessarily what the lot sells for. Such guide prices are not intended to be valuation of the lot and must not be relied upon by Buyers as such (Buyer must satisfy themselves by an appropriate independent valuation). 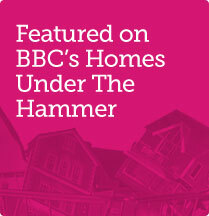 Each auction property is offered at a guide price and is also subject to a reserve price. Â The guide price is the level where the bidding will commence. The reserve price is the sellers minimum acceptable price at auction and the figure below which the auctioneer cannot sell, The reserve price, which may be up to 10% higher than the guide price, is not disclosed and remains confidential between the seller and the auctioneer. Both the guide price and the reserve price can be subject to change up to and including the day of auction. Any estimated information is only intended to be guidance to a prospective buyer. We give no guarantee or warranty as to its accuracy and Buyers must satisfy themselves in this regard. If we have provided or referred to and plans, measurements or photographs (whether or not in this Catalogue) those plans, measurements and photographs are only provided (or referred to) to assist prospective Buyers to identify the lot and are not intended to form part of the conditions of sale or be relied upon and Buyers must form their own opinion. Any measurements may have originated from scaled drawings and/or plans but may not have been reproduced accurately and should therefore be treat with caution and verified by the Buyers own enquiries and inspection. 9. Variation to this Catalogue An addendum will be available at the auction showing any alterations to the information contained in the catalogue and will be announced by the Auctioneer prior to the lot being offered for sale. It is the Buyers responsibility to check this prior to bidding or attending the auction and we accept no liability for the Buyer (or the Buyer’s representative) not doing so. 1.1 A reference in this Catalogue to the Common Auction Conditions is a reference to the provisions in the Common Auction Conditions section of this Catalogue. 1.2 A reference to the Glossary is a reference to the Glossary contained in the Common Auction Conditions. 1.3 Words in bold blue type have special meanings, which are defined in the Glossary. 1.4 A reference to Option One or Option Two is a reference to the type of auction a lot is entered into. 2.2.2 upon a successful bid: (a) a sale memorandum will be exchanged. However, this sale memorandum: (i) will only set out the particulars of the lot and successful bid; (ii) only amounts to an intention between the Seller and Buyer to enter into a binding legal contract [within 28 days of the buyers solicitor receiving the contract pack (or if that day is not a business day on the next business day), with completion being required within 14 days of the date of the binding contract (or if that day is not a business day on the next business day)] and does not amount to a binding contract between them whereby the Seller is obliged to sell and the Buyer is obliged to buy the lot; (iii) the Seller and the Buyer are both required to use their best endeavours to exchange a binding contract including provisions substantially similar to the spirit of general conditions varied as reasonably required by the Seller and Buyer taking account of the nature of the lot and any reasonable special conditions which any prudent lawyer acting for a Seller would have included prior to the auction in special conditions (had the lot been sold under Option One); (b) the Buyer must pay to us a non-refundable reservation fee of £3000 (in the same manner as a deposit would have been paid for a lot sold under Option One), and: (i) if due to the fault of the Buyer (or the Buyer’s lawyer), exchange of a binding contract does not occur by the relevant date (or such other date agreed in writing between the Seller and the Buyer) the non-refundable deposit is forfeit by the Buyer; (ii) if due to the fault of the Seller (or the Seller’s lawyer), exchange of a binding contract does not occur by the relevant date (or such other date agreed in writing between the Seller and the Buyer) the non-refundable deposit will be returned as soon as reasonably practicable to the Buyer. (c) the Buyer’s lawyer is entitled, before exchange of the binding contract, to raise reasonable relevant enquiries and the Seller must answer these to the best of their knowledge and not delay replying to them. 3.1.1 We are not responsible for the upkeep, maintenance, repair and security of the lot at any time. 3.1.2 We may offer financial services to the Buyer and may act in the sale (including in the same auction) of any Buyer’s property. 3.1.3 The Buyer agrees that, to the maximum extent permitted by law, we shall not be liable to the Buyer for any liability (of whatever kind) in respect of the particulars of anything contained or referred to in this catalogue being incomplete, inaccurate, unfair and/or misleading. 3.2.1 The Buyer must pay us an administration fee of £750.00 plus VAT (£900) immediately following a successful bid (by whatever method we may stipulate acting reasonably). 3.2.2 All fees and charges payable to us shall be paid without deduction, counterclaim or set-off. 3.3.1 We are required to satisfactorily identify all Sellers, Bidders and Buyers, and any other person who proposes to pay funds into our bank account. Such persons are required to provide to us evidence to verify both identity and the source of funds which will be provided for the purpose of funding transactions or arrangements. We will keep records of the information for five years. The Data Protection Act 2018 (‘the Act’) governs the processing of information relating to individuals, including obtaining, use or disclosure of information. Personal data obtained by us under the Act is only processed for the prevention of money laundering and terrorist financing. This use is necessary in order to exercise a public function that is in the public interest and to carry out a function permitted and/or required by legislation. No other use may be made of the information unless we have consent of the customer or it is allowed by other legislation. Where personal data is required to be used, other than in accordance with this clause 3.3, or as otherwise required by law, written consent will be requested and this data will not be used until such requested consent is provided. 3.3.2 To comply with the Proceeds of Crime Act 2002, we must be satisfied that there is no suspicion of money laundering and/or that we, the Seller, the Buyer and/or any other relevant person are not becoming involved in any of the relevant offences. 3.3.3 If funds are sent to our bank in circumstances where we are not satisfied with the evidence in respect of identity or source of funds, we may not be able to utilise or return funds if we are suspicious of the circumstances in which they were sent. 3.3.4 Where we are unable to comply with the procedural requirements of the money laundering legislation, or where we become suspicious that someone may be involved in money laundering, then we reserve the right to decline any instructions from the Seller, Buyer and/or other relevant person. In such circumstances, we may not be able to return funds to the person from whom they originated or otherwise. 3.3.5 As a matter of law, our money laundering obligations override our business relationship with the Seller, Buyer and/or any other relevant person and it may not be possible for us to discuss these issues with them. 3.3.6 We will not be liable to any person in any respect whatsoever as a result of our taking any steps pursuant to any of the preceding provisions or otherwise in compliance with the money laundering legislation. 3.4.1 No variation of the provisions of this Catalogue (or any document incorporating them) shall be valid unless it is in writing and signed by or on behalf of each of the parties. 3.4.2 Our failure to exercise or enforce any rights available to us shall not be a waiver of any rights and does not prevent us enforcing the rights at a later date. 3.4.3 If any provision of this Catalogue (or any document incorporating them) or part of any provision is found by any court or other authority of competent jurisdiction to be invalid, illegal or unenforceable, that provision or part-provision shall, to the extent required, be deemed not to form part of the agreement, and the validity and enforceability of the other provisions of the agreement shall not be affected. 3.4.4 If a provision the provisions of this Catalogue (or any document incorporating them) or part of any provision is found illegal, invalid or unenforceable, the provision shall apply with the minimum modification necessary to make it legal, valid and enforceable. 3.4.5 This Catalogue (or any document incorporating them) and any documents referred to in it constitute the whole agreement between the parties and supersedes any previous arrangement, understanding or agreement. Each party acknowledges that, in entering into the provisions, it does not rely on any statement, representation, assurance or warranty (Representation) of any person (whether a party to thisagreement or not) other than as expressly set out in this Catalogue or those other documents. 3.4.6 The provisions of this Catalogue (or any document incorporating them) are personal to us, the Seller and Buyer (as applicable) and no other person shall have any rights under them. 3.5.1 Any notice to be given relating to the auction arrangements shall be in writing and shall be delivered by pre-paid first class post (or pre-paid overseas equivalent) to the respective addresses of the parties as last notified to the other parties. 3.5.2 Notices delivered shall be deemed to have arrived: (a) when posted from and to addresses in the UK, on the second day after posting; (b) when posted from and to addresses overseas, on the tenth day after posting; and (c) when sent by fax, the notice shall be deemed received immediately (provided the sender can produce a valid transmission report). 3.5.3 The sender must prove that the notice was correctly sent. A notice which cannot be supported by evidence that it was served correctly will not be valid. 3.6.1 Any dispute or claim arising out of or in connection with the arrangements relating to (irrespective of the parties and prior to, during or following the) auction (including non-contractual disputes or claims), shall be governed by, and construed in accordance with, the law of England and Wales. 3.6.2 We, the Seller and Buyer irrevocably agree that the courts of England and Wales shall have exclusive jurisdiction to settle any dispute or claim that arises out of or in connection such arrangements (including non-contractual disputes or claims). 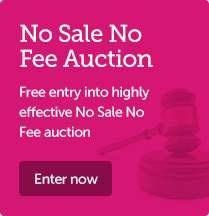 The Auction Conduct Conditions govern the relationship between the auctioneer and anyone who has a catalogue, or who attends or bids at the auction. They cannot be changed without the auctioneer’s agreement. You are deemed to have accepted these terms and conditions if you have been provided with or obtained a copy of this Catalogue, attend an auction or bid at an auction. The Sale Conditions govern the agreement between each seller and buyer. They include general conditions of sale and template forms of special conditions of sale, tenancy and arrears schedules and a sale memorandum. These common auction conditions (third edition) are reproduced with the consent of the Royal Institute of Chartered Surveyors (RICS). words of one gender include the other genders; references to legislation are to that legislation as it may have been modified or re-enacted by the date of the auction or the contract date (as applicable); and where the following words printed in bold black type appear in bold blue type they have the specified meanings. Actual completion date The date when completion takes place or is treated as taking place for the purposes of apportionment and calculating interest. Addendum An amendment or addition to the conditions or to the particulars or to both whether contained in a supplement to the catalogue, a written notice from the auctioneers or an oral announcement at the auction. (b) if no date is specified, 20 business days after the contract date; but if that date is not a business day the first subsequent business day. Approved financial institution Any bank or building society that has signed up to the Banking Code or Business Banking Code or is otherwise acceptable to the auctioneers. Arrears Arrears of rent and other sums due under the tenancies and still outstanding on the actual completion date. Documents Documents of title (including, if title is registered, the entries on the register and the title plan) and other documents listed or referred to in the special conditions relating to the lot. Financial charge A charge to secure a loan or other financial indebtedness (not including a rentcharge). General conditions That part of the sale conditions so headed, including any extra general conditions. Interest rate If not specified in the special conditions, 4% above the base rate from time to time of Barclays Bank plc. (The interest rate will also apply to judgment debts, if applicable.) Lot Each separate property described in the catalogue or (as the case may be) the property that the seller has agreed to sell and the buyer to buy (including chattels, if any). Old arrears Arrears due under any of the tenancies that are not “new tenancies” as defined by the Landlord and Tenant (Covenants) Act 1995. Particulars The section of the catalogue that contains descriptions of each lot (as varied by any addendum). Practitioner An insolvency practitioner for the purposes of the Insolvency Act 1986 (or, in relation to jurisdictions outside the United Kingdom, any similar official). Price The price that the buyer agrees to pay for the lot. Ready to complete Ready, willing and able to complete: if completion would enable the seller to discharge all financial charges secured on the lot that have to be discharged by completion, then those outstanding financial charges do not prevent the seller from being ready to complete. Sale conditions The general conditions as varied by any special conditions or addendum. Sale memorandum The form so headed (whether or not set out in the catalogue) in which the terms of the contract for the sale of the lot are recorded. Seller The person selling the lot. If two or more are jointly the seller their obligations can be enforced against them jointly or against each of them separately. Special conditions Those of the sale conditions so headed that relate to the lot. Tenancies Tenancies, leases, licences to occupy and agreements for lease and any documents varying or supplemental to them. Tenancy schedule The tenancy schedule (if any) forming part of the special conditions. Transfer Transfer includes a conveyance or assignment (and “to transfer” includes “to convey” or “to assign”). TUPE The Transfer of Undertakings (Protection of Employment) Regulations 2006. VAT Value Added Tax or other tax of a similar nature. VAT option An option to tax. We (and us and our) The auctioneers. You (and your) Someone who has a copy of the catalogue or who attends or bids at the auction, whether or not a buyer. A3.6 Where a guide price (or range of prices) is given that guide is the minimum price at which, or range of prices within which, the seller might be prepared to sell at the date of the guide price. But guide prices may change. The last published guide price will normally be at or above any reserve price, but not always â€“ as the seller may fix the final reserve price just before bidding commences. A4.3 The particulars and the sale conditions may change prior to the auction and it is your responsibility to check that you have the correct versions. A4.4 If we provide information, or a copy of a document, provided by others we do so only on the basis that we are not responsible for the accuracy of that information or document. A5.1 A successful bid is one we accept as such (normally on the fall of the hammer). This condition A5 applies toyou if you make the successful bid for a lot. 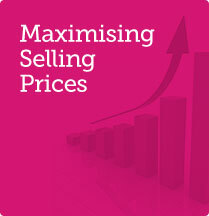 A5.2 You are obliged to buy the lot on the terms of the sale memorandum at the price you bid plus VAT (if applicable). A5.3 You must before leaving the auction: (a) provide all information we reasonably need from you to enable us to complete the sale memorandum (including proof of your identity if required by us); (b) sign the completed sale memorandum; and (c) pay the deposit. G1.5 Where anything subject to which the lot is sold would expose the seller to liability the buyer is to comply with it and indemnify the against that liability. (b)(b) is to be held as stakeholder unless the auction conduct conditions provide that it is to be held as agent for the seller. (f) (subject to the rights of any tenant or other third party) hold on trust for the buyer any insurance payments that the seller receives in respect of loss or damage arising after the contract date or assign to the buyer the benefit of any claim; and the buyer must on completion reimburse to the seller the cost of that insurance (to the extent not already paid by the buyer or a tenant or other third party) for the period from and including the contract date to completion. (b) the seller has given notice to the buyer at any time up to completion requiring apportionment on the date from which interest becomes payable by the buyer; in which event income and outgoings are to be apportioned on the date from which interest becomes payable by the buyer. d) it is not buying the lot as a nominee for another person. (c) that the VAT option has been notified in writing to HM Revenue and Customs; and if it does not produce the relevant evidence at least two business days before the agreed completion date, condition G14.1 applies at completion. G15.6 If, after completion, it is found that the sale of the lot is not a transfer of a going concern then: (a) the seller’s conveyancer is to notify the buyer’s conveyancer of that finding and provide a VAT invoice in respect of the sale of the lot; (b) the buyer must within five business days of receipt of the VAT invoice pay to the seller the VAT due; and (c) if VAT is payable because the buyer has not complied with this condition G15, the buyer must pay and indemnify the seller against all costs, interest, penalties or surcharges that the seller incurs as a result. (c) with no title guarantee; and the buyer has no right to terminate the contract or any other remedy if information provided about the lot is inaccurate, incomplete or missing. (c) in respect of the Transferring Employees. (d) The buyer and the seller acknowledge that pursuant and subject to TUPE, the contracts of employment between the Transferring Employees and the seller will transfer to the buyer on completion. (e) The buyer is to keep the seller indemnified against all liability for the Transferring Employees after completion. (b) attributable service charge expenditure exceeds payments on account (whether those payments have been received or are still then due), the buyer must use all reasonable endeavours to recover the shortfall from the tenant at the next service charge reconciliation date and pay the amount so recovered to the seller within five business days of receipt in cleared funds; but in respect of payments on account that are still due from a tenant condition G11 (arrears) applies. G22.6 If the seller holds any reserve or sinking fund on account of future service charge expenditure or a depreciation fund: (a) the seller must pay it (including any interest earned on it) to the buyer on completion; and (b) the buyer must covenant with the seller to hold it in accordance with the terms of the tenancies and to indemnify the seller if it does not do so. G23.4 The seller must promptly: (a) give to the buyer full details of all rent review negotiations and proceedings, including copies of all correspondence and other papers; and (b) use all reasonable endeavours to substitute the buyer for the seller in any rent review proceedings. G23.7 If a rent review is agreed or determined before completion but the increased rent and any interest recoverable from the tenant has not been received by completion the increased rent and any interest recoverable is to be treated as arrears. G23.8 The seller and the buyer are to bear their own costs in relation to rent review negotiations and proceedings. G24.1 This condition G24 applies where the tenant under a tenancy has the right to remain in occupation under part II of the Landlord and Tenant Act 1954 (as amended) and references to notices and proceedings are to notices and proceedings under that Act. G24.2 Where practicable, without exposing the seller to liability or penalty, the seller must not without the written consent of the buyer (which the buyer must not unreasonably withhold or delay) serve or respond to any notice or begin or continue any proceedings. G24.3 If the seller receives a notice the seller must send a copy to the buyer within five business days and act as the buyer reasonably directs in relation to it. (c) if any increased rent is recovered from the tenant (whether as interim rent or under the renewed tenancy) account to the seller for the part of that increase that relates to the seller’s period of ownership of the lot within five business days of receipt of cleared funds. G24.5 The seller and the buyer are to bear their own costs in relation to the renewal of the tenancy and any proceedings relating to this. (b) when personally acknowledged, if made electronically; but if delivered or made after 1700 hours on a business day a communication is to be treated as received on the next business day. G28.4 A communication sent by a postal service that offers normally to deliver mail the next following business day will be treated as received on the second business day after it has been posted.